Home/Jenni Au Pair Sis Became a Host Mom! This past Thanksgiving week, the Au Pair Sis became a Host Mom. That’s right. 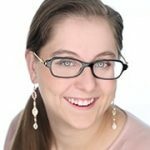 I’m Jenni, the Au Pair Sis, and I just matched with my first Au Pair! It’s an amazing feeling. This last week has been a whirlwind. I didn’t expect things to go so quickly! Through my role as the Au Pair Sis, I have an established background in the Au Pair program. I’ve experienced living with different people from all over the world. So, it makes sense that I would know what I want in an Au Pair. (None of my colleagues were surprised that the Au Pair Sis became a Host Mom. After all, they know my expertise in the program). My husband and I have had many roommates since getting married, so we also have a perspective on what works for us. (People have told us this is weird. But we didn’t have kids at the time, and we had 2 extra rooms to rent out). We’ve been through it all when it comes to childcare. Our eldest son struggled with daycare, and we recently un-enrolled him. The daycare’s expectations were just too strict for our 4-year-old boy, and they weren’t allowing him to be himself. He was scolded for crying or being loud. He came home every day asking if he was a bad kid. It broke my heart! We knew an Au Pair would be right for us because our kids really thrive on one-on-one attention. 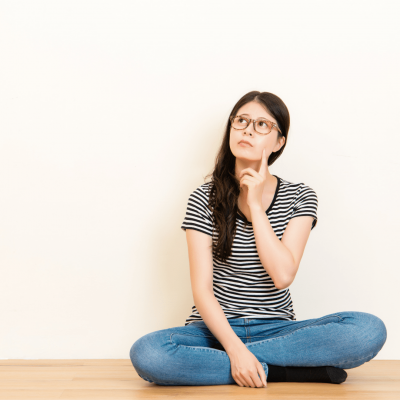 When my husband got a new job that was supposed to start in two months, we thought we had plenty of time to search for the right Au Pair. But shortly after offering the job, his new employer asked him to start right away. Suddenly we needed an Au Pair immediately. I knew we might not find the right fit in a Rematch Au Pair, but I decided to try. (Au Pairs in Rematch are transitioning from their current Host Family because the placement didn’t work out. They can arrive at their new family’s home much faster because they’re already in the U.S.). We secured temporary space in an in-home daycare near our house and began our search, thinking it would take at least a month before we were matched. 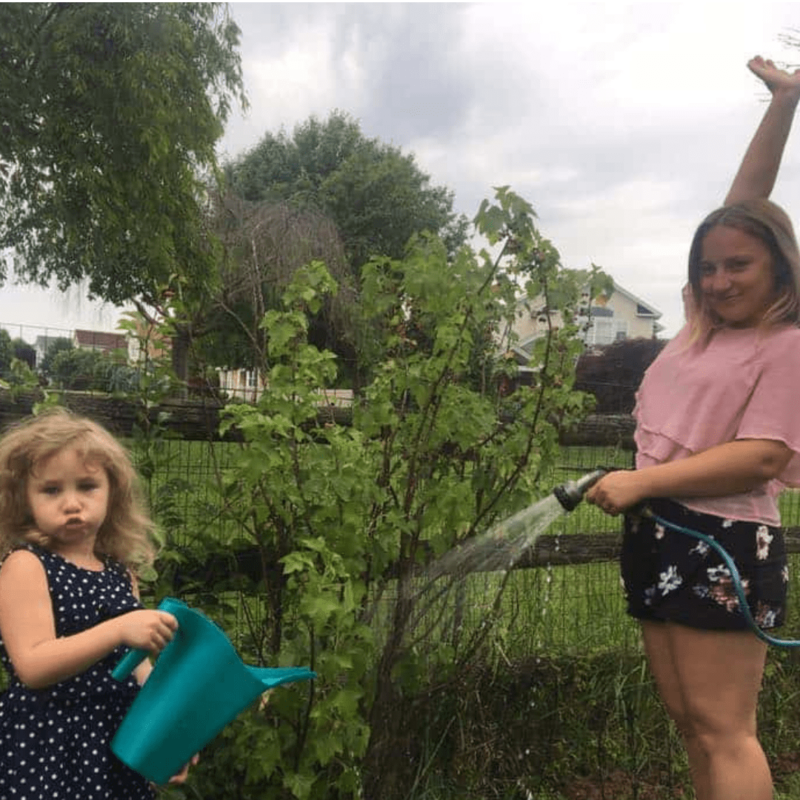 Little did we know that we would match within 10 days of submitting our profile–and on top of that, our Au Pair would be here 3 days after her first interview! (Disclaimer: Not all Rematch Au Pairs can arrive within a few days–if they have agreed to provide childcare during their Rematch period, they may be required to stay with their current Host Family a little longer). Because my husband needed to start his new job right away, I knew I wanted to look at Rematch Au Pairs. So, I asked my Placement Coordinator for recommendations. I told her my deal-breakers and asked her to help me by screening the available Au Pairs in Rematch and add some to my Favorites. It’s funny. I actually recognized a few of the Au Pairs because they’d reached out to the Au Pair Sis on Facebook. There’s a soft place in my heart for Rematch Au Pairs, and I wondered how I could possibly choose just one. Naturally, I started interviewing the Au Pairs I already knew, because we had that personal connection. I thought I wanted a French Au Pair because I speak French. Or an Asian Au Pair because I’m (admittedly) obsessed with Asian cultures. These are things that can facilitate bonding, so it just made sense. I thought for sure if I matched with an Au Pair in transition, it would be someone I already knew through social media. What I didn’t expect was that when I interviewed Adriana, from Colombia, who I hadn’t met before, we would click like old friends. I never imagined we’d message each other continuously on Facebook after our first video interview, or that we’d have another video interview the very next day. For two nights in a row, Adriana & I stayed up until the wee hours of 12 AM (which is far too late for this working mom) talking about kids, culture, movies, and our state. My husband and I were surprised when we couldn’t stop talking about how well she fit with our family, how excited we were to keep talking to her. So, despite the speed at which things were happening, after our second interview, we decided to extend an offer. The very next day, our Placement Coordinator emailed us about booking Adriana’s flight. And before I knew it, she had a flight scheduled that would get her to our house just in time for Thanksgiving! How can you tell it’s the right fit ? However, having gone through the process myself, I can now say with certainty that it’s true. It makes me think of all the times throughout my life that my mother has told me to trust my gut instinct. When I was a kid, I remember her telling me that plenty of things in life will try to override feeling in your gut that tells you whether something’s right or wrong. Fortunately, I listened to my mom (that never happens, does it?) and I’ve been in the habit of trusting my gut instinct throughout my life. 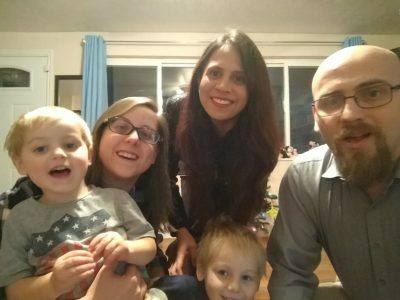 When we quizzed Adriana on how she’d handle different situations with our kids, she gave examples that mirrored our own parenting style. When we asked her about her dating situation, she was open with us about the fact that she has been seeing someone in our state (we’ve already met him, he’s very nice). She prefers a direct approach when faced with a conflict or uncomfortable situation. She also expressed a preference for her Host Parents to be direct with her. We believe this is the best approach in a live-in situation. Otherwise, people don’t talk about things until there are too many hard feelings, and it’s too late to reach a positive resolution. When the kids interrupted our video interviews, she smiled and interacted with them naturally. Adriana has similar interests to both my husband & myself. She’s already sent me some of her poetry and asked if we can talk about American poetry (if we ever have a problem in this placement, it will be sleep deprivation from talking until odd hours!). Adriana was honest about her comfort level with driving (the reason her last placement ended). She told us what she wants help with, and asked if we’d be willing to drive with her and help her pinpoint where she needs improvement. (We don’t need a driver, but we want her to be able to get around). She’s excited that her bedroom is next to the kids’ room because it means she’s part of the family (we found this particularly touching). 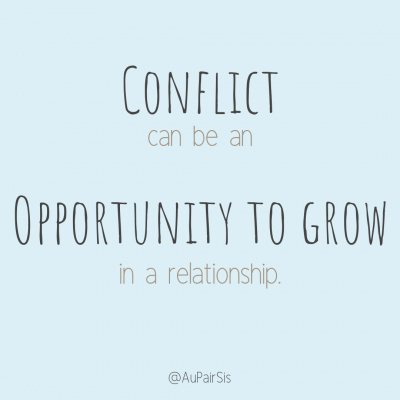 Conflict resolution– Any time I’ve lived with someone and it didn’t work out, it was because we approached conflict in different (and incompatible) ways. We wanted to match with someone who approaches conflict the same way that we do. Any issue can be resolved if all parties are committed to the same goals and are willing to face conflicts together. Desire to be part of our family– We wanted someone who wants to become part of our family. 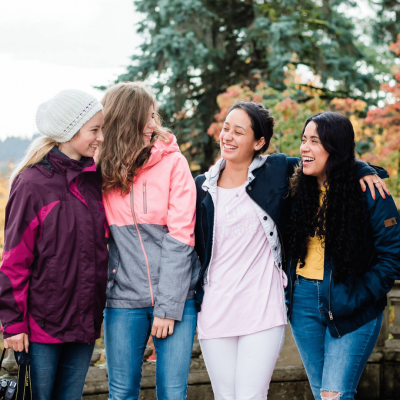 This can look very different from person to person, and we don’t need our Au Pair to be with us constantly. But having dinner together sometimes is nice, and knowing that we’re all committed to a lasting relationship will help ensure a positive experience. 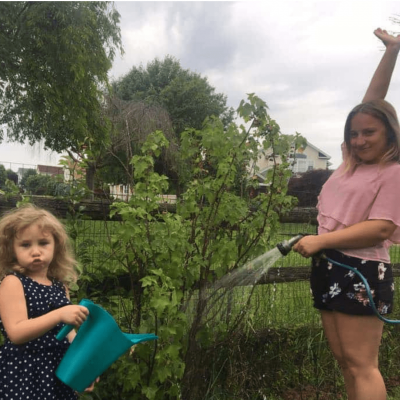 Parenting style– Our kids have very specific emotional needs and we’ve struggled with past childcare providers being able to help them react to their emotions in a healthy way. We knew that our kids needed a firm but loving Au Pair. Things happened so fast for us. So fast, in fact, I’ve already encountered a few minor issues. I thought I’d share these issues so other families know what to expect when matching with a transition Au Pair. The night I picked up Adriana from the airport, I felt like I was going to meet an old friend. We just moved into our new house two months ago. The bed we ordered for Adriana’s room didn’t arrive until 2 days after her arrival. When I told Adriana that her bed hasn’t been delivered yet, she was kind and said it was no big deal. The night before she arrived, we moved our futon into her room so she could still have a private place to sleep. She actually hated the futon. Fortunately, her bed arrived the next day and she loves it… but I would’ve felt better about the whole thing if her bed had gotten here before she did! I fully intended to paint our Au Pair’s room before she arrived. But no joke, I submitted our profile only 10 days ago. I haven’t had time to paint! (Actually, I think paint shopping and painting her room will be a fun bonding experience for us, and will help her feel more at home). The previous owners of our home also left Winnie-the-Pooh curtains in Adriana’s room. 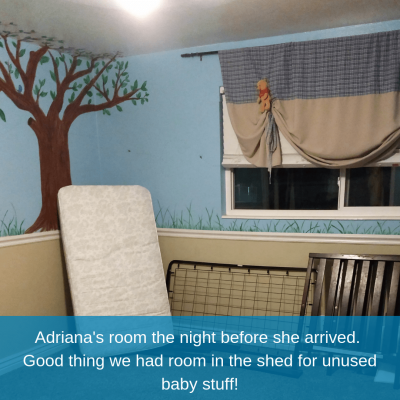 We captioned the photo of the room with, “Don’t worry, you won’t have Winnie-the-Pooh curtains!” but Adriana actually asked if she could keep them. Everything seems like it was meant to be–even her house key is Minnie Mouse (also left by the previous owners, certainly not my first choice). Update: Adriana has decided she likes the painted tree and wants to hang her pictures on it! It really seems like the perfect match for us and her. I haven’t had time to create our family handbook. We talked a lot about expectations, discipline, Adriana’s day-to-day role in our home, the kids’ interests and needs, and safety. But the handbook is a great item to have for reference, so it looks like I’ll be creating it over the weekend. (This presents a great opportunity to allow Adriana to participate in creating our handbook. We know what we need, as I’ve been thinking through hosting since I started at Go Au Pair. But we just haven’t written it all down yet. Asking for her input can help her feel like part of the family, rather than us just dictating everything she does). I also didn’t have time to go grocery shopping before she arrived. I know a lot of Host Families make the effort to stock up on food their Au Pair likes before arrival. But since Adriana arrived the day before Thanksgiving, we weren’t going to be eating home on her first day anyway. So, there were still logistical things that needed to occur before she could fully settle in our home. There may even be more things that I just haven’t anticipated yet. I guess this is a good introduction to the crazy way we do things, which isn’t always as organized as I’d like it to be! (Hopefully, it’s both crazy and fun. We don’t want to stress her out). What if we moved too fast? As they say, we’ll cross that bridge when we get there. To me, our relationship is the most important thing, second only to Adriana’s relationship with our kids. As long as we create a safe environment for open communication between ourselves & Adriana, I believe we can work through anything. Since safety is so important to us, one of the first things we’ll do after Thanksgiving is to review how my husband and I keep our kids safe. We’ll suggest different methods of ensuring safety and offer her the ability (and opportunity) to communicate with us if she sees room for improvement. I’m also brainstorming things Adriana should know to keep herself safe. We already know she wants to travel, and we hope she’ll keep us posted on her trip progress so we can support her if she needs it (and so we don’t worry). Since things have moved so fast (and they won’t slow down until the holiday is over), it’s important that we give Adriana plenty of opportunities to speak up for herself. Many cultures and many Au Pairs don’t want to inconvenience their hosts. Adriana just went through Rematching, which can be a stressful process. So, I know she may be reluctant to “cause issues” in our home. During our interviews, we discussed how we handle conflict (and how she handles it), and we seem to approach things in much the same way. Based on my past experience with housemates, and the conflicts I’ve faced before, I believe that a direct approach will help us in the long run. Adriana expressed a preference for being direct, which is a big reason why we wanted to match with her. As I write this, she is messaging me about her excitement. She says she called her mother and told her about the match. Her mom is happy because her daughter has found her “real family” in the U.S.